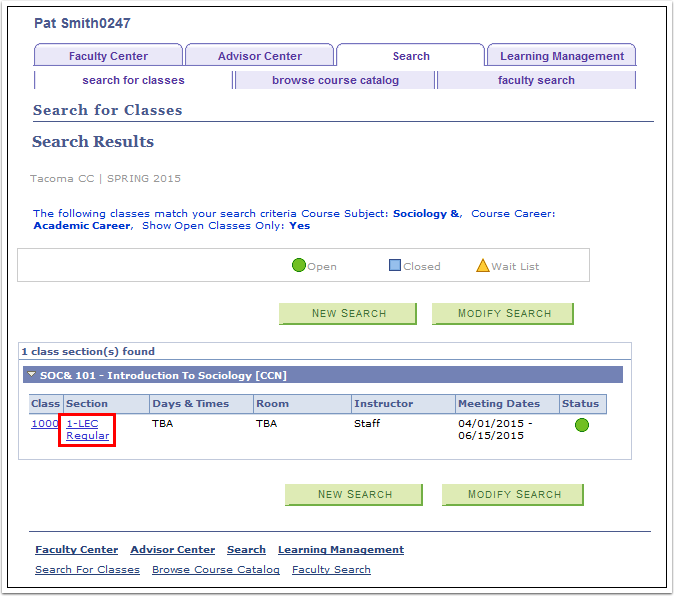 Click the Search for Classes sub-tab. 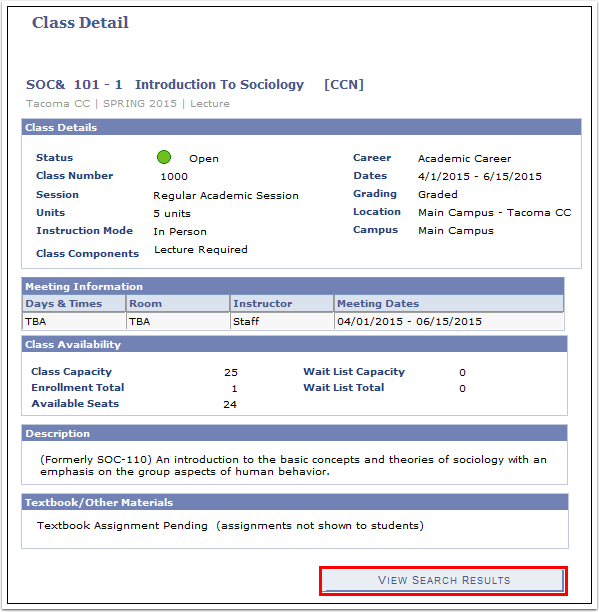 Select the Institution and Term from the drop down boxes. 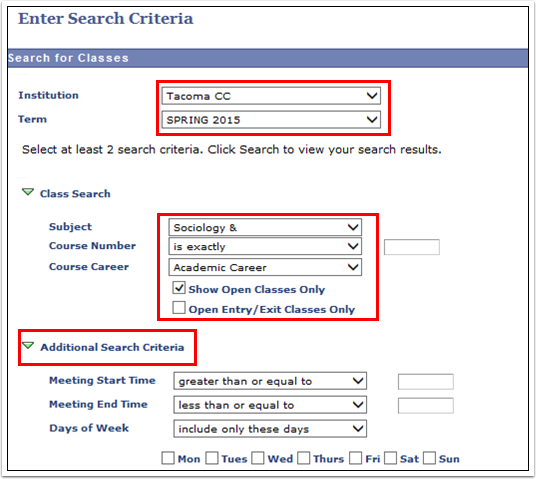 Enter at least two search criteria such as Subject or Course Career. Additional Search Criteria is optional. Additional details are available by clicking the link under Class or Section. Click View Search Results to return to the previous page.